Earn up to 29,200 reward points. A legendary half-stack that rocks as hard today as it did many tours ago. 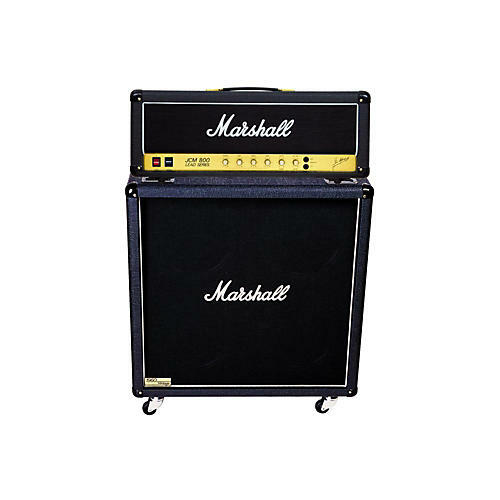 This JCM800 reissue, 2203 model ('81-'84) is one of the most highly respected 100 Watt Marshall heads. Originally evolving from the "Plexi" head, the JCM800 was one of Marshall's first amplifiers to feature a master volume control. The JCM800 2203 remains the essence of simplicity; it has one channel with no reverb. Its purist-pleasing front panel and distinctive roar set the standard by which all other rock amps were judged. And it is still produced because of continued artist use, and by popular demand. Dimensions: 29.5" x 12.4" x 8.2"